Mike and Alex taste & discuss Malinalli Tequila Blanco, the delightful follow-up to their extra anejo (a 2014 Brands of Promise winner). Appearance: Pristine, translucent, sediment free. Aroma: Masses of inviting dill, black pepper, asparagus notes that are underpinned by a deep salinity; best part of this bouquet is its vegetal/salty/herbal thrust that immediately identifies it as agave-based, but is clean, acidic and quality-directed. Taste: Smoky, tantalizing, toasty, herbal (sage), mildly fruity, salty, tobacco leaf, crisp and clean as the acid level maintains the freshness and flavor direction. Overall: Its strength is its sturdiness and its personality, which looms throughout. This tequila retains what makes tequila so wonderful in the first place, the herbal, smoky sense of agave. Malinalli Platinum: The new ultra-premium blanco with character and elegance. Malinalli Tequila is much more than delicious Platinum and Extra Añejo tequilas. 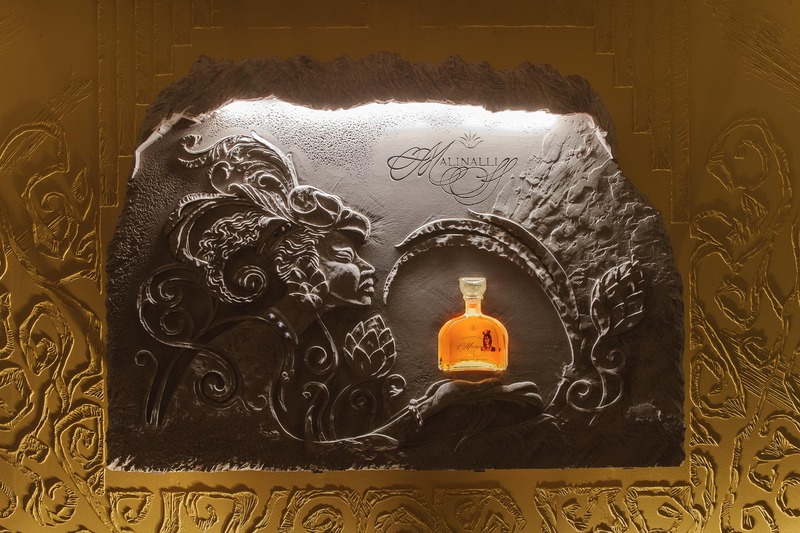 Malinalli is instilled with deep respect for the unique and illustrious history of Mexico and, naturally, of tequila, Mexico’s native spirit. Malinalli is a legend, a woman, a figure shrouded in the past, deeply significant to the European ingenuity and native tradition of Mexico. Her history is complex, like the land that imparts its character into every drop of our tequila. We make Malinalli Tequila at state-of-the-art family-owned distillery in El Arenal, Jalisco. Malinalli Tequila starts with prime agave, grown on the same family estate that for one hundred years has yielded some of the region’s finest agave. Only the most select agaves are chosen for the slow cooking process. The sweet agave juices are extracted from the cooked agave hearts, slowly fermented then artfully distilled to yield an exceptional spirit with deep, rich flavor concentration and a dazzling bouquet. Malinalli’s mythical legacy has solidified her as a key historical figure in the creation of contemporary Mexican national identity. Born into a noble family and later enslaved in her youth, Malinalli was renowned for her beauty and graciousness. These qualities ushered her into the inner circle of the Spanish explorer and conquistador Hernan Cortés. After being baptized, she became highly valued for her intelligence and skill as his interpreter and confidante. As both Cortés’s lover and advisor, Malinalli became the mediator between clashing cultures and thus greatly influenced the Spanish conquest of Mexico. Her greatest legacy is saving thousands of Indian lives by enabling Cortés to negotiate rather than wage total war. She bore Cortés a son, notably the first Mexican. Click here to learn more about Malinalli live. Malinalli was named after the Goddess of the Grass, on whose name day she was born. Mayahuel, the Goddess of the maguey (AGAVE) plant, ruled the Goddess of the Grass.